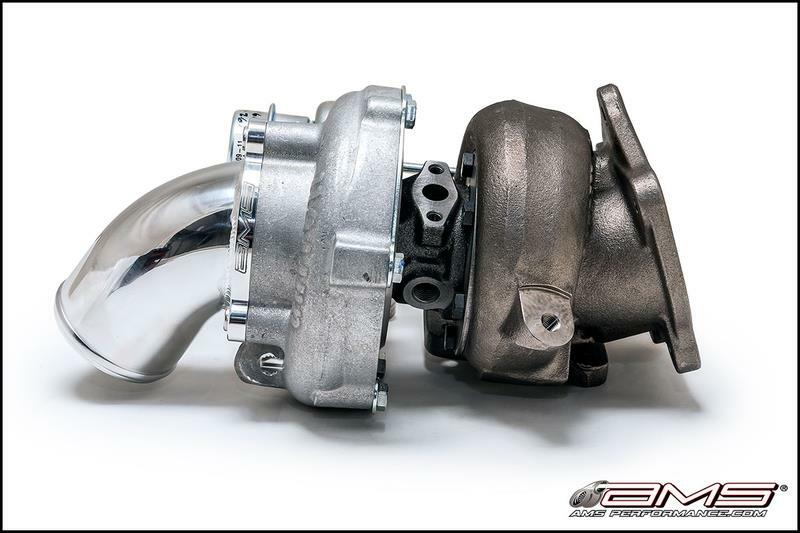 The AMS Performance STX500 Upgraded Turbo for the Mitsubishi Lancer Evolution X offers the best bolt-on turbo solution for producing power and low-end torque on 93 octane pump gas. With proper intake, boost cooling and exhaust upgrades, you can expect 500+ horsepower without compromise to drivability and throttle response. 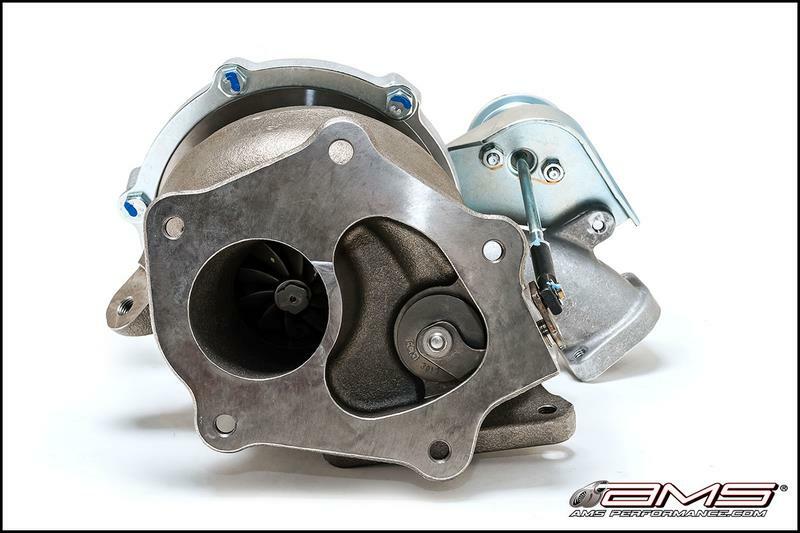 As part of our customized Garrett GTX30R based turbo design, both the compressor inlet and exhaust housing were chosen to create one fat, usable powerband. 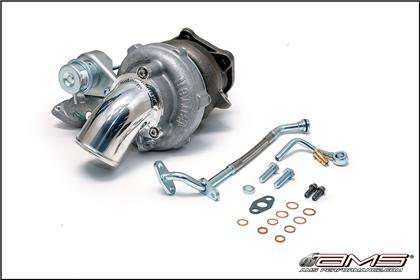 This upgraded turbo is perfect for those who wish to upgrade their turbo, but may already have or prefer to build their own supporting upgrades such as their intake, intercooler and exhaust system. 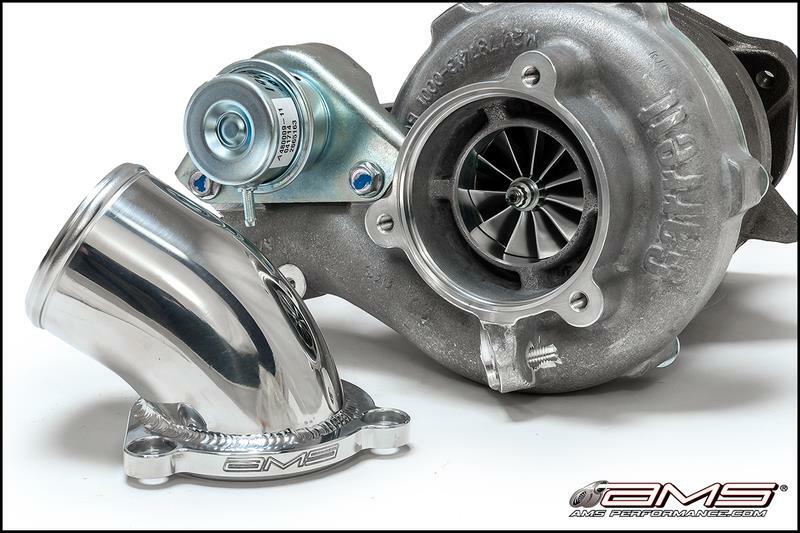 Each upgraded turbo is equipped with our custom polished 3” turbo inlet. The larger design of this CNC flanged inlet offers improved flow over the standard design. By improving air stream to the surge ports, it allows them to prevent surge issues more efficiently throughout a wider range of operating conditions.